One of the best parts about AddThis is watching your share counts grow. But share counts can also be difficult to understand. In this article, we will explain how share counts are measured so you can understand exactly where the numbers are coming from. 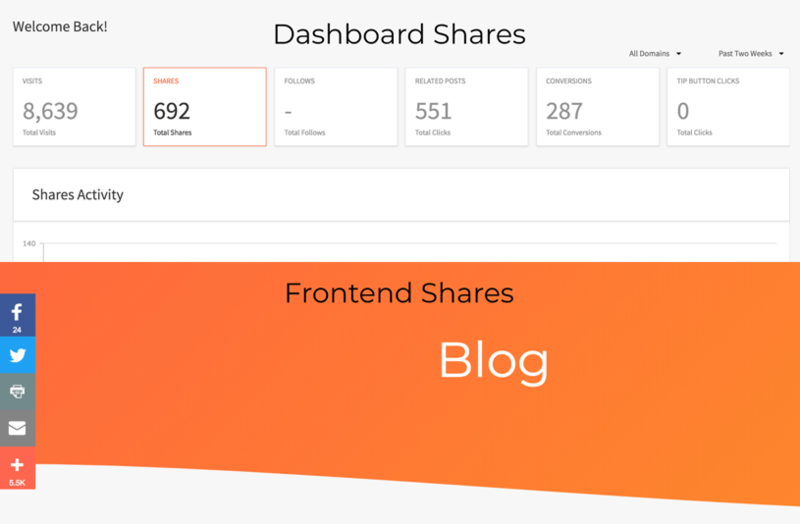 First, it’s important to know that the share metrics that are found in your AddThis Dashboard are different than the share counts displayed on your website. Let’s discuss both metrics and what exactly they’re counting. The share counts displayed on your website are pulling directly from the respective social service’s API. These share counts can be confusing because not all social networks track “shares” the same way. The first thing you should know is that not all social networks support share counts. Many services have recently deprecated share counts, including Twitter, LinkedIn, and Google+. Which services display share counts? Only shares on these social networks display for individual share counts and contribute to the total share count for the page. If you think that the share counts displayed on a page are incorrect, check out our article explaining the possible reasons here. You may notice that the shares on your page are different than the shares in your AddThis dashboard. That’s because the share counts in the AddThis dashboard represent the total number of times an AddThis share button is clicked. Since the experience after clicking an AddThis share button happens on the social network’s site, we can’t know for sure whether a user completed the share, or closed out of the window without sharing. Therefore, a “share” in your AddThis doesn’t necessarily confirm that a share went through the social network. This could result in the shares reported in your AddThis dashboard being higher than the shares reported on the frontend of your site. If you still have questions about share counts, please feel free to contact our dedicated support team. We are always glad to help!